University Press of Kansas, 9780700624928, 280pp. 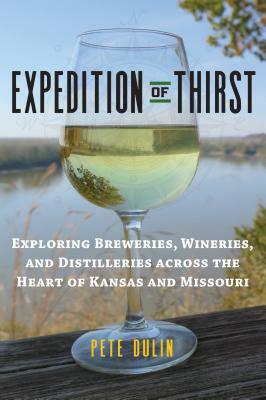 Dulin shares the stories of many of these brewers, winemakers, and distillers in their own words. Expedition of Thirst captures the character of the small business owners and makers and offers insight about their craft. For good measure, Dulin delves into the history, culture, and geography that have shaped these producers and their practices, from the impact of Prohibition to the early influence of immigrant winemakers and brewers, regional agriculture, and politics. As informative as it is engaging--even intoxicating--his Expedition is sure to work up readers' thirst to travel and discover firsthand the singular regional pleasures so richly described in these pages.